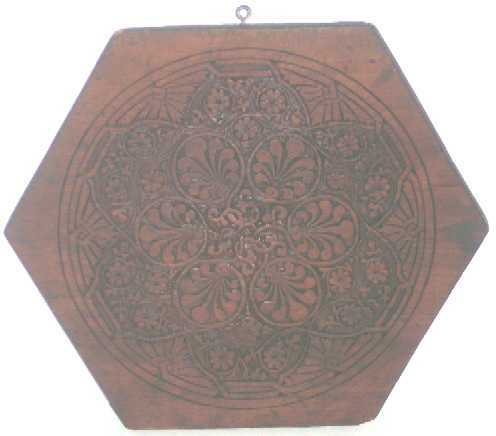 Presented here, a wonderful, deeply carved Cookie Board, probably Pennsylvania or New York State. This is a fine example of the genre` and the hexagonal form makes this a very special piece. It's truly folk art where a utilitarian object is elevated to an art form. When not in use it could be hung on the wall, for it's form and carving to be admired. It measures 12" from point to point and 10-1/2" from bottom to top.